A few weeks ago, I went to Hastings for the weekend with Stuart. Hastings is where Stuart grew up and his family live, so we went to stay with them for the weekend. 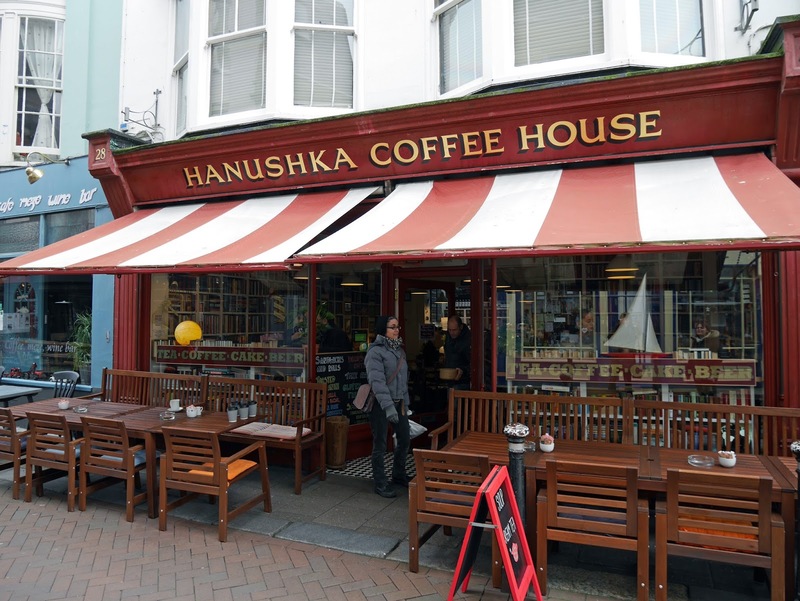 I had a tour of Hastings Old Town and it was full of so many adorable little shops and cafés. The Old Town is a blogger's dream with it's painted buildings, so I thought I'd write a blog post about it. 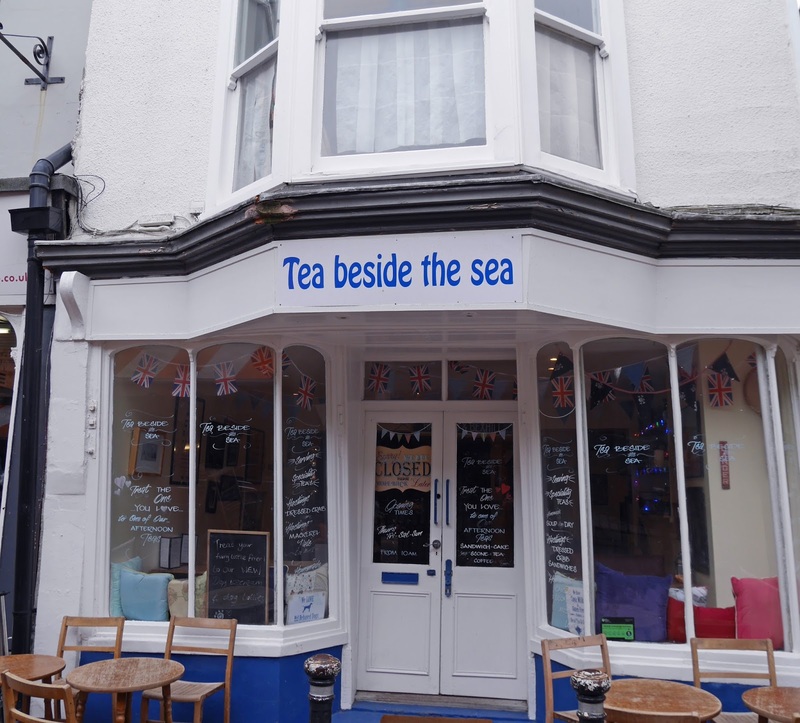 There's something special about being beside the seaside, so it doesn't surprise me that the Old Town is so popular. 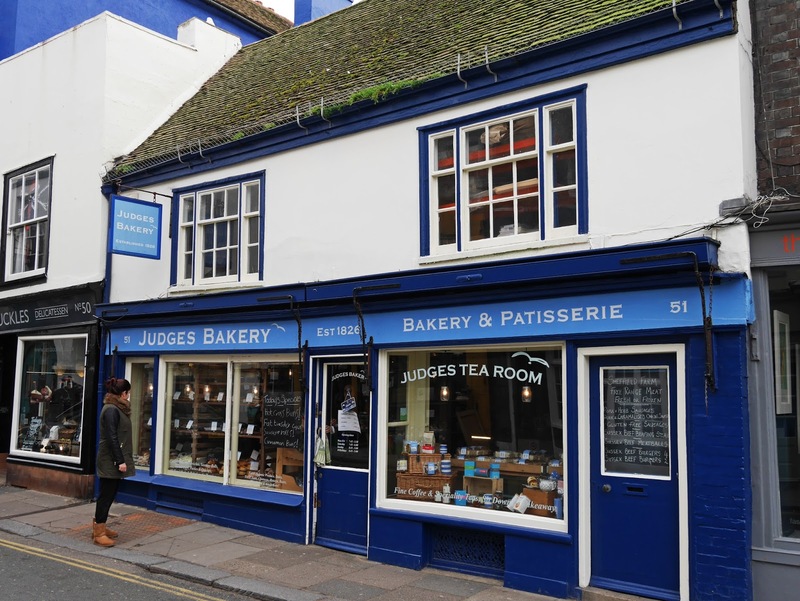 The one-off stores and cafés in the Old Town have such a nostalgic feel, making you think back to a time where high streets weren't dominated by chain stores and eateries. 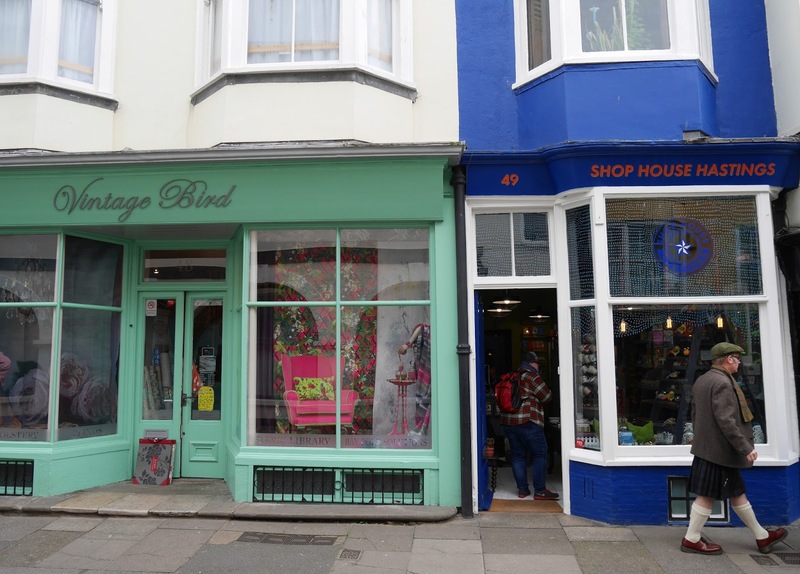 Living in Canterbury has made me really appreciate small businesses, so I was pleased to see that Hastings still has so many independent places too. 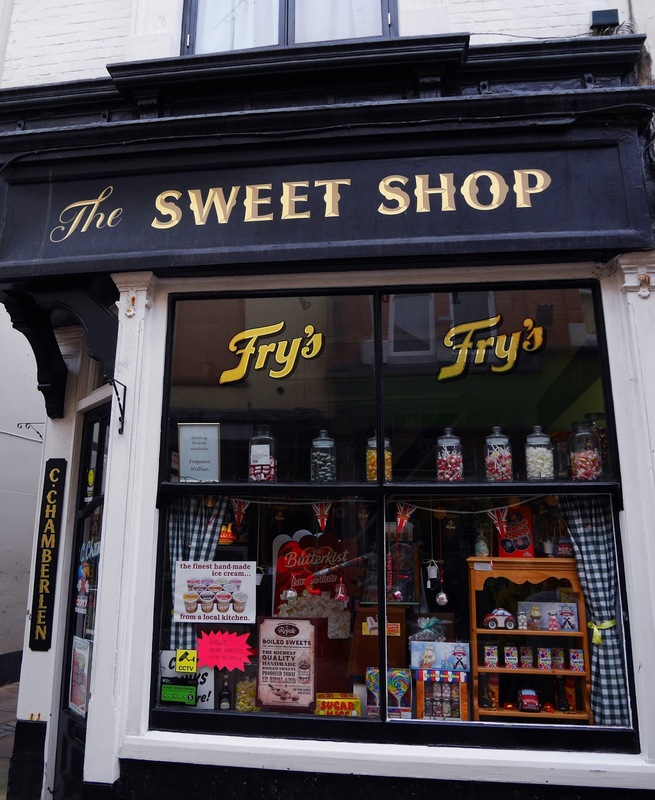 Old sweet shops are absolutely adorable and the Old Town has a few of them. 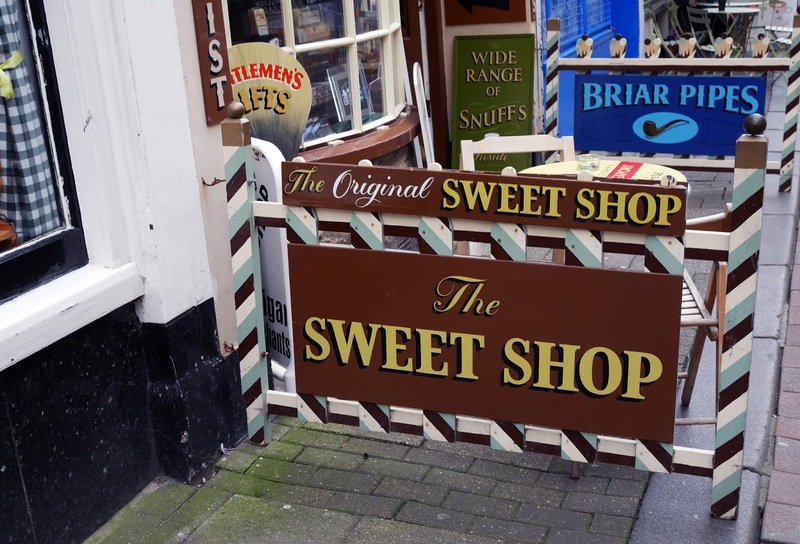 I know retailers have tried to recreate this classic shopping experience with Hardy's and Mr Simms chain stores, but it's just not the same as walking into a little unique sweet shop. The Old Town has antique shops full of such a variety of goods. The antiques are bound to make you stop walking and question what they are. 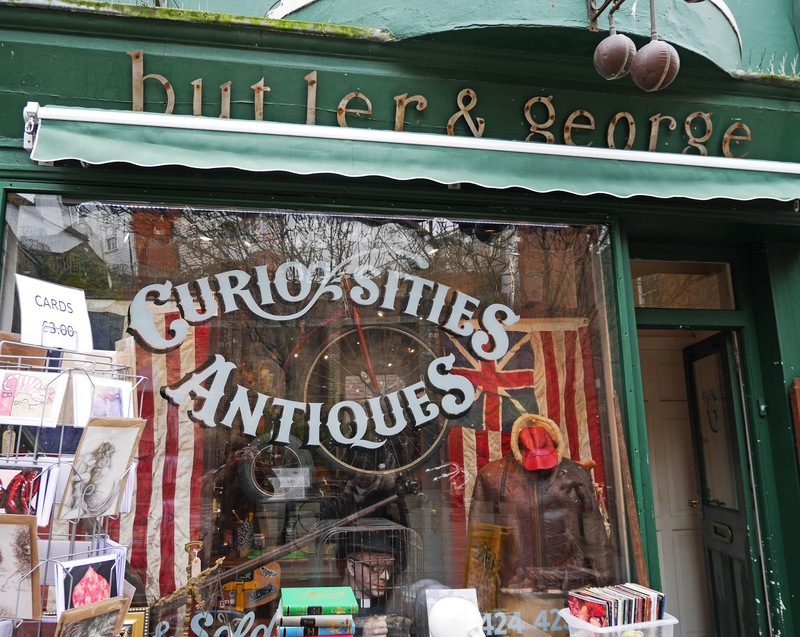 Butler & George was the first walk-in antique store that I've seen in years! I like visiting places that wherever you look or wander, there's always something new to see. 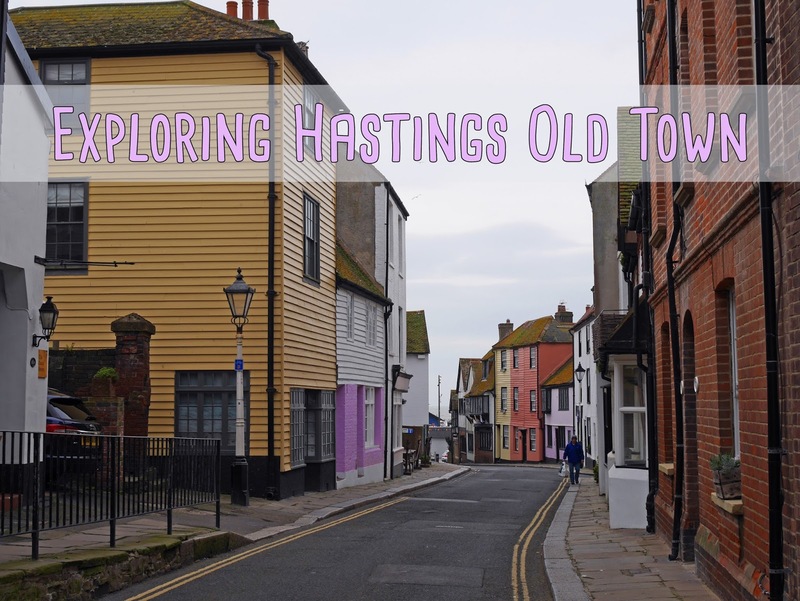 Hastings Old Town is exactly that kind of place! I really enjoyed exploring this area and having some time to take photos of the lovely buildings. I totally agree with you, modern advertising and signage definitely doesn't look right in cute, old market towns!